Progress Lighting AirPro Collection Traditional/casual ceiling fan with light in white finish looks very attractive with integrated downlight and 5-blade design. The elegant alabaster glass bowl casts an inviting illumination during function. 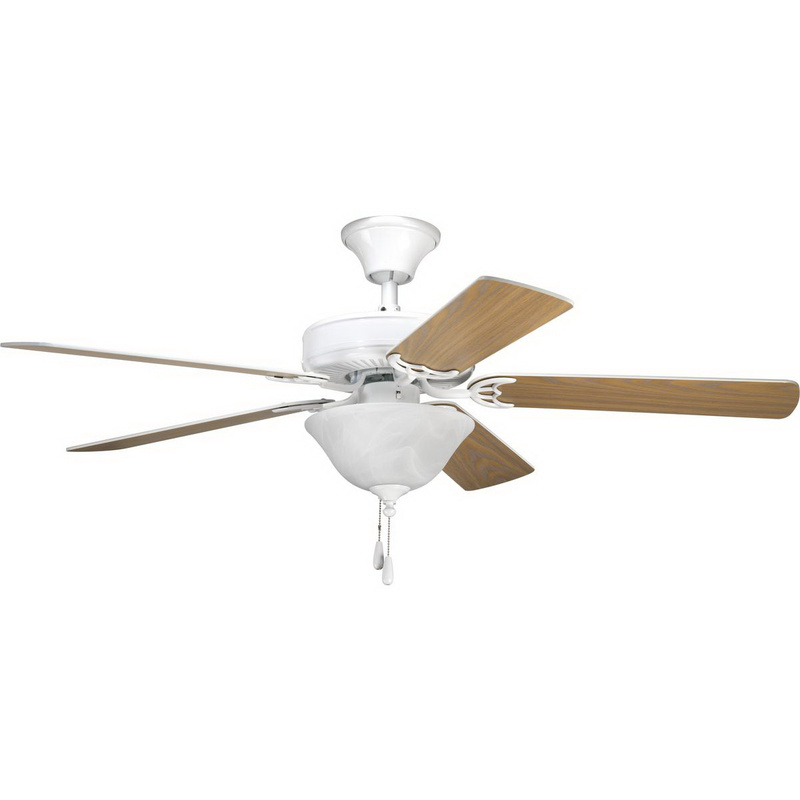 This fan comes with white finish with chrome pull chain for ease of speed controlling. The universal design of this fan fits any indoor with an attractive look. Ceiling fan is UL listed.